Online Foreign Exchange (eFX) trading gives you an opportunity to diversify your portfolio, while maintaining liquidity in foreign currencies. 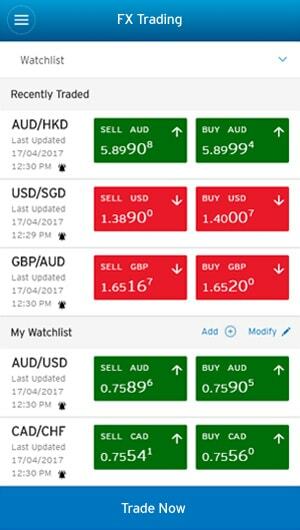 Citi's eFX trading platform allows you to trade in these 10 currencies: SGD, USD, EUR, GBP, NZD, HKD, CAD, AUD, CHF, and JPY. Need a Foreign Currency Account? Find out how you can access Citibank eFX with our video below. FX trading at your fingertips. Now available on Citibank Online and Citi Mobile® app. Live-streaming view of your favourite and recently viewed currencies, all in one page. 60-second lock-in on any FX rate you see. Each rate that you see is a real-time offer that you can instantly secure. 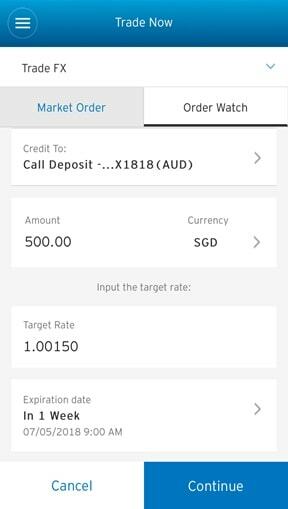 You can set up a preferred FX rate at which the Buy or Sell Order will be automatically executed. 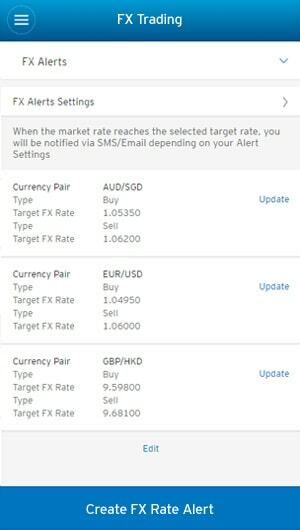 Choose the currency pairs, set your target FX rates, and receive SMS or Email alerts when markets hit your desired FX rates. Citibank eFX is an online platform that allows you to convert funds within your Citibank accounts into different foreign currencies. What do I need in order to use Citibank eFX? You will need to open a Global Foreign Currency Account for the foreign currencies that you would like to trade in. Alternatively, you can apply for an Overnight Deposit which serves as a deposit facility to store your foreign currencies. Customers should be mindful of the regulations in their country of domicile with regards to engaging in FX transactions. Citibank eFX is made available to customers on a non-solicited basis. What is an Overnight Deposit? The Overnight Deposit is a deposit facility to store multiple currencies. This facility offers convenience to customers without a Global Foreign Currency Account by providing a debiting/crediting option for foreign currency transactions. While the Overnight Deposit can be used for debiting or crediting purposes during an investment transaction or via Citi Online Foreign Exchange (eFX), it is not a transactional account and cannot be used for cash withdrawals, debit card payments or remittances. Balances in the Overnight Deposit may be non-interest bearing and can only be withdrawn via verbal instruction passed on to a CitiPhone Officer or Branch personnel. Overnight Deposits are opened upon request when customers transact in Investment Products such as Time Deposit, Premium Account, Unit Trust, Portfolio Finance, etc. 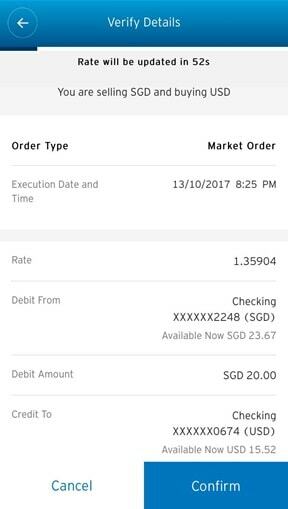 Can I make a Citibank eFX transaction using the Overnight Deposits account as the source of funds? Yes. You can select the Overnight Deposits account as the source of funds/debit account. How do I transfer my Overnight Deposits account balance into a Global Foreign Currency account? Are there any monthly maintenance fees for the Overnight Deposits account? No, there is no administrative fee to open or maintain the Overnight Deposits account. Where can I access Citibank eFX? This online service is available 24/7. Simply logon to www.citibank.com.sg to access Citibank eFX. Trade and track your portfolio on the go! To do so, you will first need to download the Citi Mobile® App from your Apple App or Google Play stores before logging in. How do I open a Citibank Global Foreign Currency Account or register for Internet Banking? Click here to apply for a Citibank Global Foreign Currency Account. Register for Internet Banking on Citibank Online or on the Citi Mobile® App. Minimum trade amount is US$1.00 and maximum trade amount is US$3,000,000.00. Minimum trade amount is US$1.00 and maximum trade amount is US$25,000.00. Counter rates only. Minimum trade amount is US$500.00 and maximum trade amount is US$3,000,000.00.